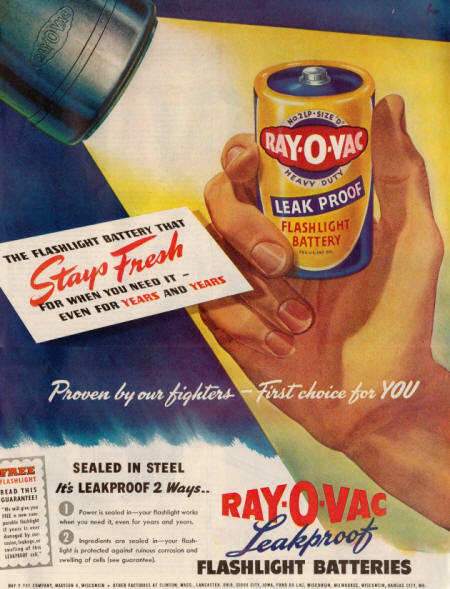 Here is an advertisement by Ray-O-Vac from the August 25, 1945, edition of the Saturday Evening Post. 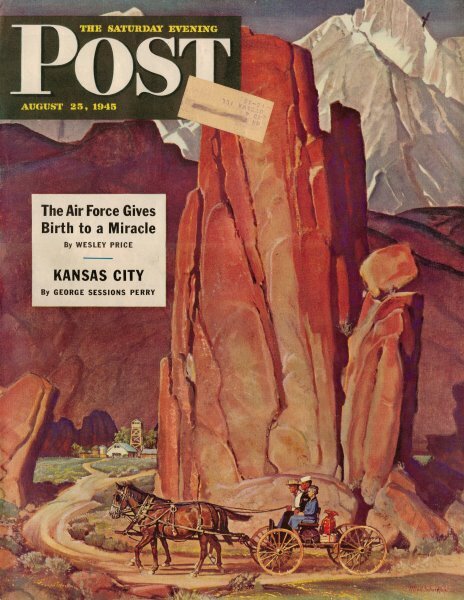 As with many of the advertisements of the era, this ad refers to the company's contribution to the war effort during WWII, to wit, "Proven by our fighters - First choice for YOU." In today's market, a leak-proof battery is assumed, but early dry cells (which sometimes were actually wet cells) were notorious for oozing electrolyte when subject to impact or vibration. At least when a modern dry cell starts leaking, the most it might do is cause corrosion of metallic contacts and some build-up on a plastic case. Some of the old cells were fierce enough to eat through just about anything they were in. Of course, now that lithium polymer batteries are routinely replacing carbon, alkaline, Ni-Cad and NiMH cells, the nasty habit of sometimes exploding during the charging cycle can be very messy. Do a YouTube search sometime on Li-Po explosions.